Boat Description Get ready for a party! 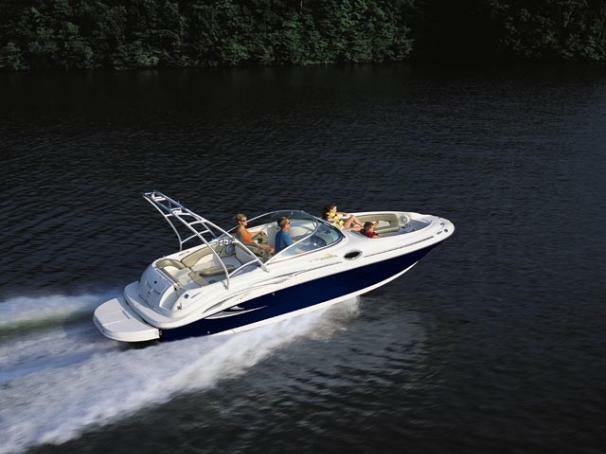 There`s room for all your friends - and all their toys - on this handsome Sea Ray 240 Sundeck. You can entertain in style, thanks to the cockpit entertainment center and extended swim platform. Additional features include Sunbrella bimini top, AM/FM/CD player with digital remote, and large head compartment with optional VacuFlush head.